PHP is a simple yet powerful language designed for creating HTML content. 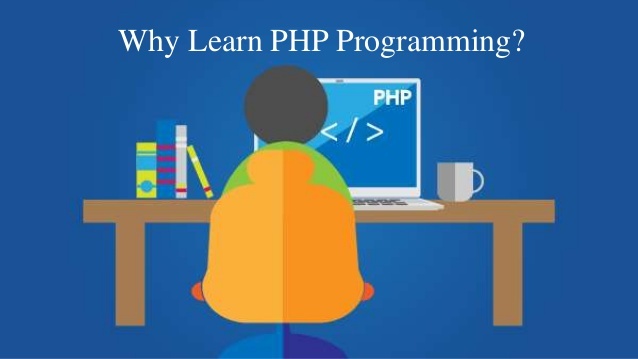 This chapter covers essential background on the PHP language. It describes the nature and history of PHP, which platforms it runs on, and how to configure it. This chapter ends by showing you PHP in action, with a quick walkthrough of several PHP programs that illustrate common tasks, such as processing form data, interacting with a database, and creating graphics. suited for that task. To generate HTML, you need the PHP parser and a web server through which to send the coded documents. PHP has also become popular for generating XML documents, graphics, Flash animations, PDF files, and so much more. Command-line scriptingPHP can run scripts from the command line, much like Perl, awk, or the Unix shell. You might use the command-line scripts for system administration tasks, such as backup and log parsing; even some CRON job type scripts can be done this way (nonvisual PHP tasks). Client-side GUI applications Using PHP-GTK, you can write full-blown, cross-platform GUI applications in PHP. In this book, however, we concentrate on the first item: using PHP to develop dynamicweb content. PHP runs on all major operating systems, from Unix variants including Linux, FreeBSD, Ubuntu, Debian, and Solaris to Windows and Mac OS X. It can be used with all leading web servers, including Apache, Microsoft IIS, and the Netscape/iPlanet servers. The language itself is extremely flexible. For example, you aren’t limited to outputting just HTML or other text files—any document format can be generated. PHP has builtin support for generating PDF files, GIF, JPEG, and PNG images, and Flash movies. One of PHP’s most significant features is its wide-ranging support for databases. PHP supports all major databases (including MySQL, PostgreSQL, Oracle, Sybase, MS-SQL, DB2, and ODBC-compliant databases), and even many obscure ones. Even the more recent NoSQL-style databases like SQLite and MongoDB are also supported. With PHP, creating web pages with dynamic content from a database is remarkably simple. Finally, PHP provides a library of PHP code to perform common tasks, such as database abstraction, error handling, and so on, with the PHP Extension and Application Repository (PEAR). PEAR is a framework and distribution system for reusable PHP components. You can find out more about it here.